We are committed to offering the best tools and solutions for your practice. 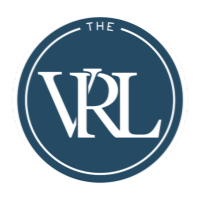 Both the VRL and VSA can be customized to fit the needs of any practice or individual office. Contact a solutions specialist to help determine what product is the best fit for your needs. Let Financial Services Online's all-in-one client acquisition platform help you with new growth and generate leads for new clients who need your guidance. Our products provide you the tools needed to understand your clients' needs, boost your online presence, and educate those trusting you with their finances to provide you with a client retention solution specifically designed for financial professionals. Our Life Guides are financial road maps through some of life's biggest changes. Be purposeful when guiding your clients through these changes by using our prepared Life Guides. Find the topic perfect for your audience, including major life changes, tools to help guide clients through these events and workbooks to create opportunities to guide clients to financial solutions that fit their specific need. Your Personal Website can be on-line and mobile friendly in no time. Taking advantage of the Personal Website allows you to highlight the focus areas of your practice, promote your social media channels, and generate leads for those who are seeking insurance or financial planning advice. The Personal Website is SEO ready for the best possible placement in search results, loaded with content, custom tools, and can be displayed with your custom domain. Concept Pages simplify the idea of purpose-driven marketing by providing a high-level education on any subject within the financial industry. Start by drilling down to find the perfect Concept Page that fits your client's needs or those of your target audience; then begin using it to market your services. These concept pages will allow you to develop client trust by educating your clients through providing thought leadership and demonstrating expertise. Nurturing existing customers allows you to uncover growth opportunities while offering exceptional customer service. Our tools help you create a business that continues to grow as your clients' needs develop and change. Financial Snapshots provide a visual picture and calculation to determine just how much is enough. Financial Snapshots take into consideration what has been saved, what is being saved, and how inflation plays a role. These planning strategies are designed specifically for financial professionals and are great tools to use together with prospects and clients alike. Fact Finders make both initial meetings and annual planning reviews go smoothly by helping you learn all the facts. Both newer and more experienced agents enjoy how the Fact Finders help guide the conversation during their client meetings. Have new team members in your office? Have them use Fact Finders to capture their clients' financial details. Financial and Needs-Analysis Calculators simplify financial planning for your clients. With over 100 Financial Calculators, it is easier for you to crunch the numbers and assist in a client's financial planning session. Time to work smarter and faster with our financial and needs-analysis Calculators. Planning meetings with your clients or prospects are a whole lot easier when you have our Annual Reviews and Priority Approaches at your fingertips. These fillable documents help financial planners convert prospects into clients and prioritize the needs of each client while creating more opportunities for you to grow your practice. Retaining the business you have worked so hard to build is important. We make it easier to stay connected with your client base as you continue to position yourself as their financial expert. Monthly Newsletters are generated for you to use for marketing and retention. Our email marketing content for financial advisors are the perfect way to share financial information and add value to your financial and insurance services. The Client Presentations are a great way to educate clients and prompt them to action. These personalized presentations are effective tools in growing your practice and cover personal needs, estate and charitable planning, business and executive planning. Leave a great impression with these personalized presentations. We provide other extensive resources that benefit financial advisors. Feel confident knowing you will have access to the most comprehensive depository of marketing and technical tools and resoures in the industry. Financial Services Online provides products that help you build your business today and continue to grow your business into the future. Virtual Sales Assistant contains everything a new or experienced agent or advisor is likely to need to grow, market and manage their business. From prospecting to newsletters to sales concepts to client reviews, VSA has it all. It is an invaluable resource! The VSA has been a tremendous tool to us as an Independent Marketing Organization. It has put all the resources that an agent would typically need right at our finger tips as well as provided us with even greater credibility with the producers who partner with us. I use the VSA resources in everyday prospecting and education of my agents and clients. This resource makes it easier for me to express my professionalism because I don't have to worry about the information ever being out of date! This product lives up to its name. It assists me with educating my clients about virtually any concept. It is a great value and I would recommend it to anyone in the insurance or financial planning industry. Don’t go into the field without it! The greatest thing about the VSA is the time it saves me. It’s concise, to-the-point and user-friendly. Thanks VSA for being there for me. 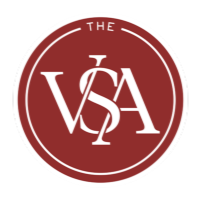 I have found VSA to be an invaluable resource for my practice. I love the one-page presentations and financial calculators, all accessible at my discretion. Even better, my reports are customized to market my practice. I rely greatly on this resource. Compared to other planning and information support vehicles, the VSA has the best resources by far and is extremely cost effective! I've been a VSA subscriber for about 3 to 4 years and I think the resources provided are terrific. Thank you for a great product! The VSA is always informative and up to date. Customer Service is excellent and very responsive. I love the depth and breadth of material. Been worth every penny paid each month. I've used the VSA for over 10 years and the product is fantastic. I am a one-person life producer and I couldn't live without it. VSA is an integral and important part of my practice because of the extremely comprehensive nature of the material. Whatever I need to educate a client, I can find on the VSA. This is the best value for an agent/broker in the industry. The VSA has been an asset to my business. The VSA should be the first investment an agent makes and it is a must for every person in the insurance and financial planning industry.